Speyside single malt Macallan has launched Macallan 50 Years Old, a £25,000 Scotch whisky limited to only 200 bottles worldwide. Macallan said the new release reflected the distillery’s ‘journey of discovery in the modern era’, adding that it was created at a time when Macallan was thinking of the future by increasing its number of stills. These ‘curiously small’ stills helped to concentrate the flavours of Macallan’s new make spirit, it added, giving it a ‘robust elegance’ to be combined with the influence of ex-Sherry, European oak casks from Spain. Macallan 50 Years Old is described as a ‘rich and complex’ single malt, presenting ‘sweet oak vanilla and blackcurrant characters, with a beautiful, vibrant amber natural colour’. ‘After being left to mature for half a century in our exceptional Sherry-seasoned oak casks, this wonderfully rare single malt is full of rich flavour and beautiful natural colour,’ said Nick Savage, Macallan master distiller. 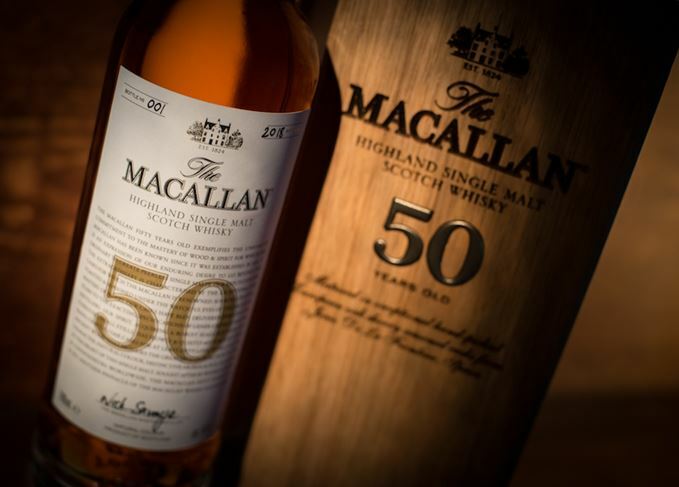 Bottled at 44% abv, Macallan 50 Years Old is packaged in a solid oak box, featuring an etched face inlaid with a matt gold badged age statement. Available now, only 200 70cl bottles are on sale, priced at £25,000 each. The launch comes a day after Macallan announced a wholesale revamp of its core single malt line-up, including the axing of the colour-led 1824 range. And, according to Richard Woodard, most single malts shouldn’t even try. The US$9,000 single malt is billed as the ‘pinnacle’ of the distillery’s Sherry Oak range. The seven single cask single malts have been matured for between 12 and 22 years. From Speyside to Homebase, the delights and limitations of malt whisky’s journey into colour. The single malt has been matured in a single European oak ex-Sherry cask.